We have been hearing a lot about what the market is starting to do. What is happening? Are the prices going to continue to increase and is a melt down about to occur? The answer to these questions are always going to be speculatory because in order to answer them we would need a crystal ball and honestly if I knew the answers for certain I would most likely not be writing this Blog. What I can let you know is what the market is doing in our area and from what I am hearing from agents across the country is that it is beginning to happen everywhere. At least the lead indicators are showing up and we have not yet hit the lag indicators. What are the lead indicators? Days on Market, Inventory, Closed sales, pending sales, Median time to contract, and median time to close are all lead indicators. According to the market numbers that have just been released by the Realtor Association of Sarasota and Manatee we are beginning to see the signs of a shift. Shift is a word that you may be hearing a lot lately and it typically means that the market is in a state of transition. It can mean that the market is going from a Seller's market to a Buyer's market or from a Buyer's market to a Seller's market. A seller's market is when the months of inventory on the market are 6 months or less and a buyer's market is when the months of inventory on the market is 6 months or more. Month's of inventory means that if we were to stop taking listings today, and no more new home's for sale came on the market, how long would it take to sell all the houses that are listed for sale? In Manatee and Sarasota county we have been in a seller's market for quite a while. In our area we hit the bottom of the market in 2012 and have seen a steady increase in property values since 2012. The Real Estate market is cyclical and historically it runs in 7 year cycles. We bottomed out in 2012 and it is now 2019 and we have been increasing in value's since. That is 7 years and what we are seeing is that the market is beginning to transition more towards a buyer's market. I do not believe that we are going to see a crash or anything close to what we saw in the past. That was due to fraudulent mortgage practices and the government has stepped in and put overlays in place to protect that from happening again. What I do think we are seeing is the transition from a seller's market to a buyers market and typically when that happens in order to be competitive in the changing market the seller's will reduce their price in order to sell. So we do see the price's tend to fall in a buyer's market, mainly because there are more choices for the buyer's and it gives them more power while negotiating the price of the sale. Now that we have discussed what it means when as professionals we begin to speak about the market, here are the numbers and why I believe that we are heading to a more competitive market for seller's and a market that may benefit the buyer. These transitions are nothing to fear, we are just seeing what the real estate market does. It is normal and it is a good thing. Don't run around like chicken little screaming the sky is falling!! The sky is falling!! The closed sales in Sarasota and Manatee county decreased by 17.2% from January of 2018 to January of 2019 overall. In Manatee county single-family home sales fell by 16% and Sarasota county single family home sales fell by 11.4%. Condo sales fell by 6.9 % in Manatee county and in Sarasota county condo sales decreased by 33.1 percent. What does this mean? It means that the number of homes that are coming off of the market are down and in turn that means that there will be more inventory for the buyer's to choose from. The market is still increasing in price as mentioned before the lag indicators are not showing up yet. Median Sales prices increased in Manatee county family homes by 3% to 309,000 and Sarasota single family prices increased by 3.9% to 286,600. Sarasota condo prices increased by 0.8% to 240,000 and Manatee condo's increased by 13% to 195,000. The months of inventory in Sarasota county single family homes increased to 5.4 months and for condo's in Sarasota it increased to 6.1 months supply of inventory. As for Manatee county the single family months of inventory is still in the seller's favor with 4.4 months of inventory and 4.7 months of inventory for the condo's. And New listing in the two county area increased by 4.7% from last year. Which means that more properties are coming available on the market. New listings for Sarasota single family homes increased by 8.6%, while Manatee county single family homes decreased by 3.1 %. Sarasota condo new listings increased by 5.8% and Manatee condo new listings increased by 7.9%. The median time for contract, or number of days on market, increased for condo's in Sarasota by 21.4% to a median of 51 days on market and Manatee condo's increased by 39% to 57 days. Single family homes in Manatee spent more days on the market with an 8.5% increase to 51 days and Sarasota experienced a 2.2% decrease to 45 days on the market. 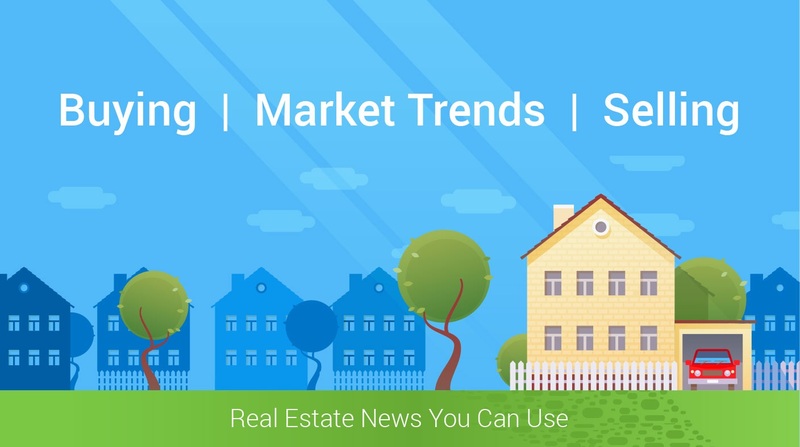 Remember the Real Estate market is always in flux and changes on a daily basis which is imperative that you speak with a Real Estate Professional that is paying close attention to what the market is doing. Overall what we are seeing is that the days on market are increasing, the inventory is increasing, the pending sales are decreasing and the closed sales are decreasing. These are all signs that we are in a transitioning market and moving more towards a balanced market or even a buyer's market. Again this is nothing to fear, just something to keep an eye on and see if this trend continues to happen.